Gordon Ellis and Co. have designed a range of healthcare products that fit in with the rest of your home. Instead of plastic, they are made from bamboo, giving them more style and additional benefits over hardwood and plastic products. - Bamboo is a renewable resource, it takes just 5 years to regrow once it has been cut, so there is much less impact on the environment that wood which can take over 50 years. - It is an organic product that doesn’t require fertilisers or pesticides to grow, so it helps to keep extra chemicals out of the environment and away from the Bamboo. - It is extremely durable and resistant to water and swelling. - It is more scratch resistant that most wood types, making it more long lasting. - Bamboo has anti-bacterial qualities making it a hygienic product that is extremely easy to keep clean. Because our Panda made is made from Bamboo, it can be multi-functional and used around all rooms in your home and by other family members. Furniture Raisers – These are available with both 9cm and 14cm raises, and can be the perfect addition to your sofa, chair or bed. They are not intrusive and fit neatly underneath your furniture to look like part of the leg. Transfer Boards – Ideal for people with limited mobility or strength, these boards make it easier to move from a wheelchair to a car, bed or chair. Available in both 24inch and 30inch straight boards, or the curved board which has been designed to fit around the arm of a wheelchair. Step – Because it is made from bamboo, this step can be used throughout your home. Helping to halve the height between a larger step, making it easier and safer for you to get in or out of a bath/bed, or stepping down to a lower level in your home. 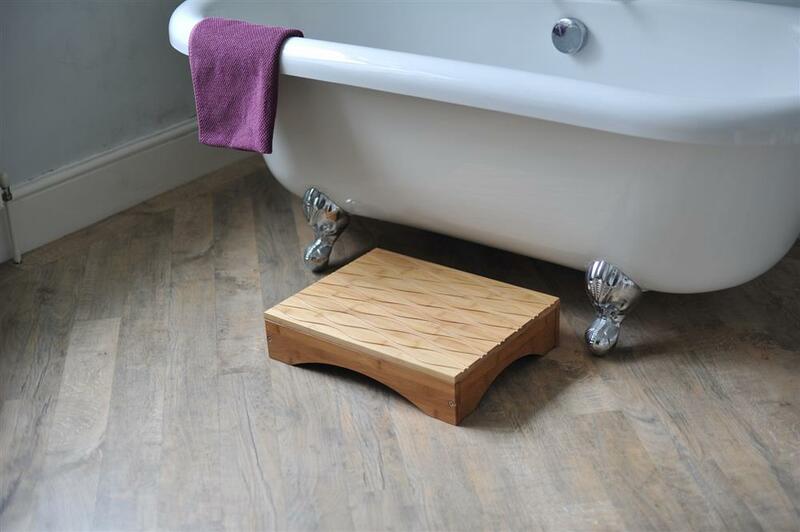 Due to the antibacterial properties and resistance to water, the Panda Step is perfect for bathrooms. Our Panda Range comes in our brand new retail boxes making them perfect for the Trade. The boxes feature informative descriptions, along with lifestyle images to show how the products will look in the home. If you would like more information about our Panda range, please contact us.